Robotic vacuums have been around for a long time now. In the last 10 years, robotic vacuums have been improving in design and function by leaps and bounds. What was once a curiosity is now a useful companion that cleans your floors. There is a dizzying array of choices when it comes to robot vacuums and it’s easy to choose one that’s not right for you. In order to take the guesswork out of choosing the right robot vacuum, I’ve hand picked 3 of them. I’ve chosen 3 robotic vacuums the best vacuums for each of 3 budgets: Cheap, Mid-Range, and Max. For the budget-minded consumer the DEEBOT N79S has a whole lot to offer for a small price. ECOVACS robotics is the company behind the DEEBOT. They’re based out of China and not as well-known as iRobot, who manufacturers the famous Roomba line of robotic vacuums. Not being famous in America is no problem for ECOVACS. They’ve been making robots in China for 20 years and have plenty of research and development experience to make a great robotic vacuum. The best robotic vacuum that ECOVACS has right now is the DEEBOT N79S. For a fraction of the price of a higher end Roomba robotic vacuum you get quite a few comparable features. The N79S has a wifi app that you can use to control the robot from your smartphone. Amazon Alexa integration is also possible. The DEEBOT N79S responds to voice commands. The N79S is QUIET. I’m seriously impressed with how quiet ECOVACS was able to make this robot vacuum. It’s got great suction and somehow still stays quieter than most other robotic vacuums with less suction. Many robot vacuums travel in a large spiral pattern and bounce off of obstacles. The DEEBOT N79S uses a more intelligent navigation system to navigate your living space and will finish cleaning faster than most other budget robotic vacuums. DEEBOT N79S will not work with newer 5ghz wifi, only older 2.4ghz wifi setups. Most routers have both 2.4 and 5ghz wifi enabled but a few people that do not have the older 2.4ghz setup may experience issues. Not really an issue with charging the battery, but a common gripe with the N79S is that it has trouble finding it’s charging dock. Most people have to end up picking up the vacuum to bring it back to it’s charging base. If you’re on a budget, this is a GREAT robot vacuum. This is the best one I’ve seen for the low selling price. If you can afford a little more, I suggest looking at buying the Neato Botvac D5 Connected. For people with a mid-range budget I recommend the Neato Botvac D5 Connected because it’s packed with features that are usually reserved for robotic vacuums with a much higher price tag. Neato Robotics has been a leading robotic vacuum brand since 2010. Neato tends to focus on the mid-level budget consumer with it’s Botvac line of products. The Botvac D5 Connected is a great robotic vacuum that’s packed with many features that you find on more expensive vacuums. The most unique thing about the Botvac D5 connected is the “D” shape. Most robot vacuums are round, which makes it impossible for them to clean corners. The unique shape of the Botvac allows the robot to reach into corners and clean those. Neato Botvac D5 Connected has a smart navigation system that scans your room to create a navigation map for it. This feature is usually reserved for more expensive vacuums like the iRobot Roomba 980. Like all of my other recommendations in this article, the Botvac D5 Connected has Amazon Alexa integration which makes it possible to respond to voice commands if you have an Amazon Echo. The Botvac D5 Connected is a great bot when it comes to suction power and functionality. The biggest complaint among customers is that it frequently drops it’s wifi connection. This does not affect the core functionality of the unit but it does affect the smartphone integration. Other than a minor glitch or two, the Neato Botvac Connected D5 is a great robot vacuum that has all of the features of the most expensive robotic vacs. The iRobot Roomba 980 is the very best robotic vacuum that you can buy right now. It’s truly the gold standard of all robot vacuums. It has plenty more suction than other models and can navigate your living space intelligently with an onboard camera. These advanced features come at a higher price than all of my other recommendations. The iRobot Roomba 980 is nearly $900. It’s money well spent if you have a large living space, a large budget, and love to have the latest, greatest gadgets in your home. The Roomba 980 has Amazon Alexa integration like the other robotic vacuums mentioned in this article. It also goes above and beyond that and integrates with the Google Home voice assistant. Most other robot vacuums bumble about your living space, randomly cleaning on it’s way with the hopes that every spot in your living area will be cleaned eventually. 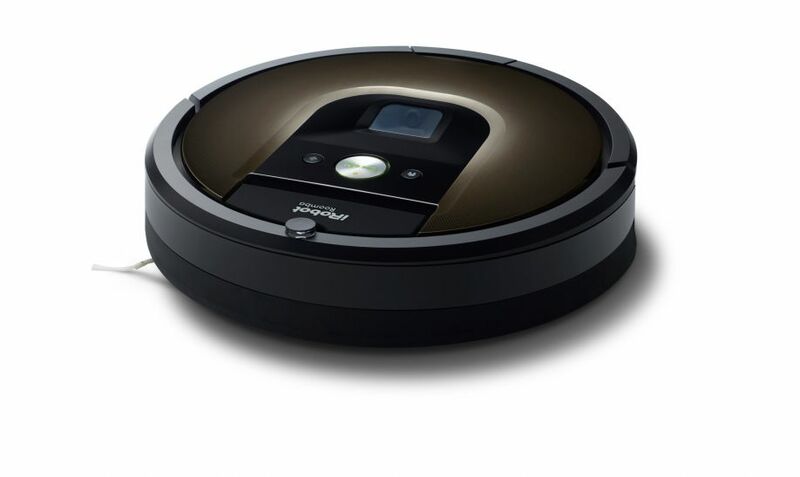 The Roomba 980 has an onboard camera that maps out your living space to find the most efficient cleaning path. This allows allows the vacuum to clean a larger area more efficiently. The Roomba 980 has a 120 minute battery runtime, which means that along with the onboard camera, you get more efficient cleaning between charges. This enables your robotic vacuum to clean multiple rooms or to clean your smaller space in much less time. Another feature that the Roomba 980 has is Carpet Boost technology. This allows the Roomba to deep clean thick carpets with a suction boost. When finished with the carpeted areas, the power is decreased to save on battery. The Roomba 980 is awesome without a doubt. The price tag puts it out of reach of anyone that doesn’t have a lot of money to spend on the convenience of having the best robot vacuum. There are other Roomba models that are worth looking at that I write about in my comprehensive Roomba Model Comparison. If you think you might like a Roomba but don’t want to pay top dollar for a Roomba 980, definitely check out that article. iRobot, the company behind the Roomba has definitely produced a winner with the Roomba 980. It’s been their top robot vacuum for a few years running and I don’t see it being dethroned anytime soon. It’s software is constantly being updated with tweaks and enhancements so it’s only getting better. If you are serious about buying a robot vacuum and you have the means, the Roomba 980 is the best robotic vacuum you can buy right now. Jason Stewart is a father of three, a husband, a part time writer, full time software developer and also runs the blog robotic-vacs.com with what little spare time he has.